‘Tis time for a cocktail, and what better choice than one called The Dubliner ? The Dubliner is only a couple decades old. As is the case with many cocktails debuting in that time-frame, several drinks share the name, but the most commonly found recipe is the one below which was created in the late 1990s and included in Gary Regan’s The Joy of Mixology. It’s a wonder that it took so long for a concoction of alcohol to receive the appellation of Dubliner considering Irish stereotypes of drinking. Or there’s always the idea of connecting the drink to a celebration of James Joyce 1914 collection of stories, Dubliners. In any case, this St. Patrick’s Day weekend is the perfect time to take up your glass and toast the Irish spirit. 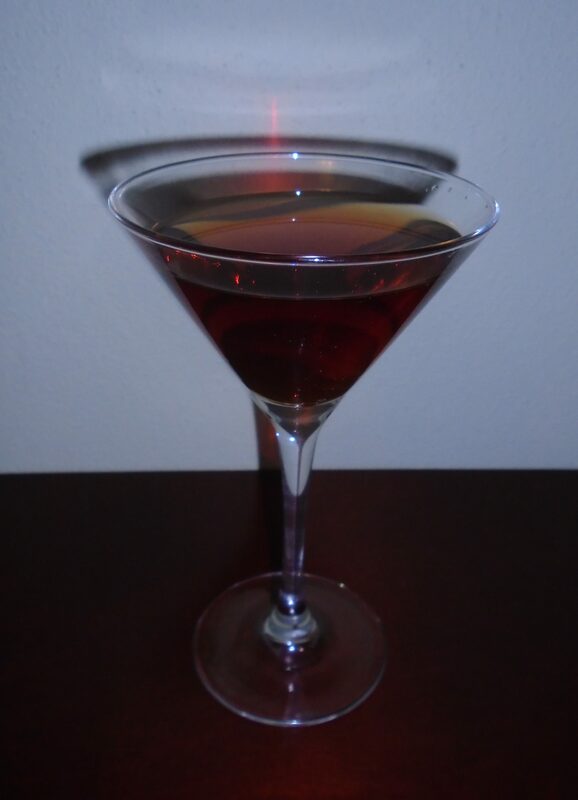 This particular drink is an interesting, if sweeter version of the Manhattan with Grand Marnier giving it a subtle orange flavor. In a shaker over cracked ice, pour in 2 ounces of your favorite Irish whiskey and 1/2 ounce each of sweet vermouth and Grand Marnier. Add in 2 to 3 dashes of bitters. Then shake and strain into your cocktail glass of choice. Optionally, garnish with a sprig of mint or green cocktail cherry. How I like it: Jameson would be my whiskey of choice for an Irish-inspired drink. And of course, if I’d had them on hand, I’d use a green cocktail cherry for a garnish. Gotta have something green, right?